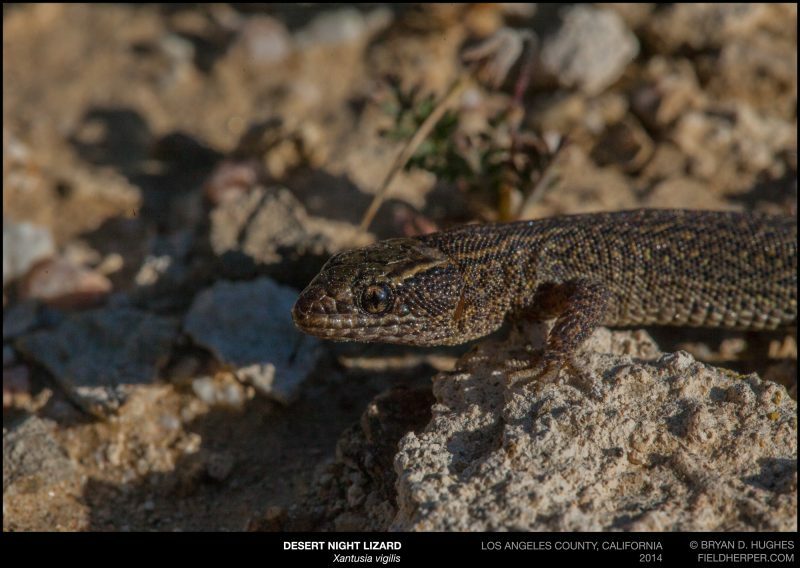 As far as lizard species go in the desert Southwest, Night Lizards are among the coolest. They are small, live-bearing lizards that look like nothing else. In Arizona, they are common, but I rarely see them due to my ignorance on their behavior and the fact that flipping over rocks isn’t really something that benefits my objectives. 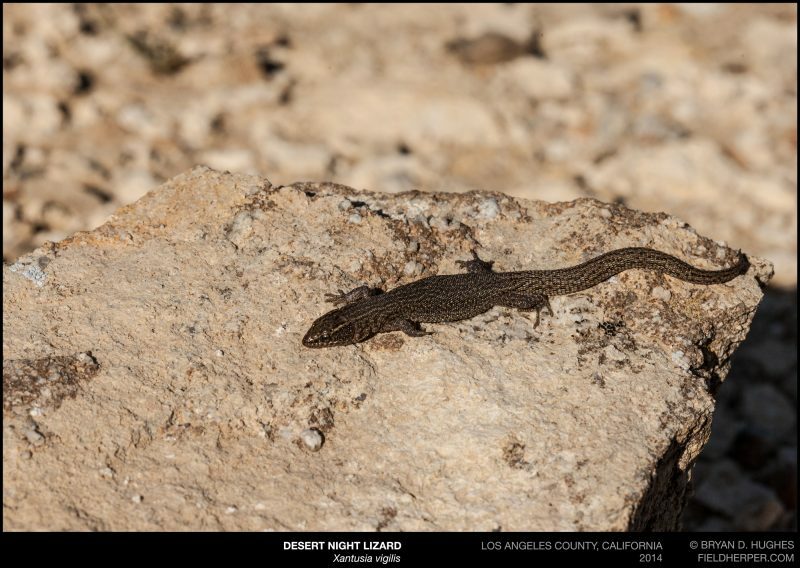 In Southern California we set out to look for Southern Pacific Rattlesnakes by flipping the abundant garbage covering the hillsides, and were treated to seeing about a dozen of these guys. … and we did find the Southern Pacifics, eventually, in the form of a densite at the first pile of rocks we passed early in the day to make for “better” habitat. This entry was posted on Wednesday, December 7th, 2016 at 4:31 pm	and is filed under Lizards. You can follow any responses to this entry through the RSS 2.0 feed. You can leave a response, or trackback from your own site.